They are pretty cute (Figure 1). They create vital salmon habitat: deep pools and backwater. Their dams store massive amounts of water, which is especially important during droughts like the ongoing one in California. 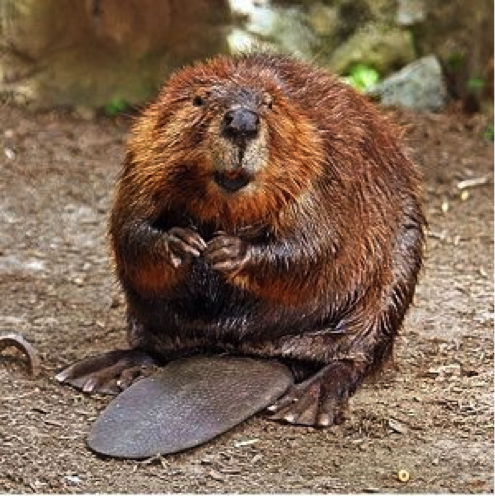 Beavers used to be found all throughout the U.S., but their numbers have dropped severely in the last two centuries. 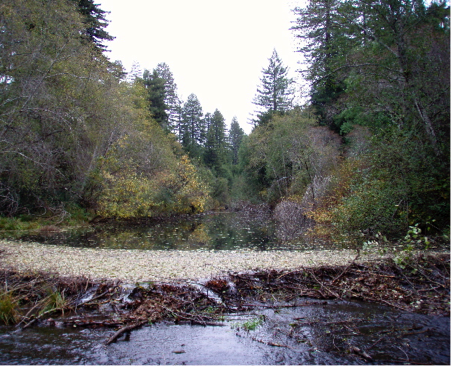 The Mendocino Land Trust recently submitted a grant to reintroduce them in our streams. Figure 2. Beaver dam and activity found along Big River in Mendocino County, CA. (Photos Chris Blencowe, 2008). As the application deadline approached, we clamored to do sufficient research, contact other reintroduction projects, find a relocation spot, secure landowner agreements, and write the application itself. 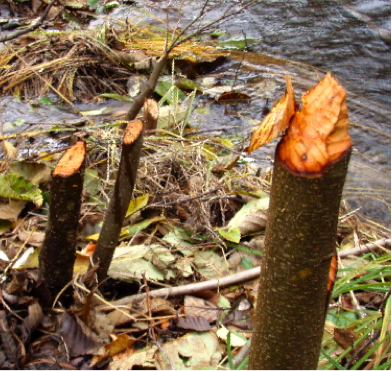 We ultimately connected with The Conservation Fund, after learning that beaver activity had been seen on some of their land (Figure 2). In general, we were met at first with surprise and (well-founded) questions, followed by support and excitement about the project. We submitted the grant last week, and decisions won’t be announced until the winter. At the least, the idea is off the ground and the ball is rolling. Figure 3. 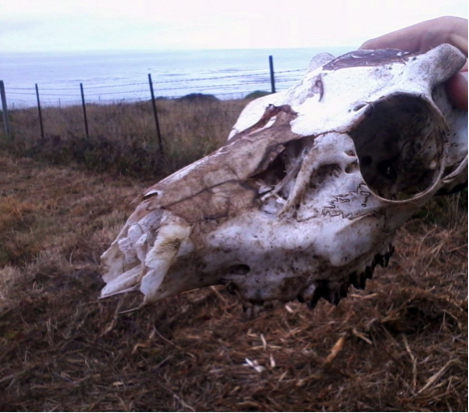 Deer skull found in the Pelican Bluffs property. Days in the field have continued to be highlights of my internship. I recently went with Nicolet, Trails & Stewardship Coordinator, and Louisa, Associate Director, to an area called Potter Valley, which is inland from Fort Bragg. We were there to find survey markers that mark the edge of the property. This turned out to be comparable to a treasure hunt; we had approximate GPS coordinates and a map from 1985 which described the markers by their location relative to trees: “near two firs and a live oak,” it may read. We did manage to find a fair number of them, and walk a good portion of the property. We ended the (very warm) day with a swim at Eel River before heading back to foggy Fort Bragg. Nicolet and I headed out again last week, this time to a beautiful property called Pelican Bluffs. We walked along the cliff edge and through the meadow on the property, marking out a new trail and conservation easement. The salty air, the natural beauty, and a pretty cool find (Figure 3) made the day an especially good one. The past ten weeks have taught me so much about the restoration movement, the Land Trust, and the land itself. I’ve gotten to know a really incredible team of people, and am really thankful to them all for their guidance and support. Many thanks to Paul Siegel as well, whose generous gift made this experience possible. I am excited to take what I’ve learned back to Reed, and hope that the connection between the college and the Mendocino Land Trust can continue.